Two years ago I launched the Precious Little Sleep Facebook Group on a whim. I would like to tell you I had a mindful strategy for it, but that would be a lie. As I frequently do I figured, “Sure why not!” and launched it. I expected a few hundred people to join and the group would give them a place to troubleshoot sleep issues and support each other in the struggle. Navigating some pretty challenging discussions around postpartum depression, anxiety, unsupportive partners, single parenting, etc. Which all sounds pretty terrible doesn’t it? I see why community builders get burnt out. It’s all so relentless. In the past two years I’ve spent an unconscionable amount of time on the group but I think it’s been worth it. That it’s been a vehicle to foster connection between good people. And that it’s made a people’s lives better. Most people are awesome. It’s easy to focus on the complainers, the freeloaders, people who come ask a question and leave. But most are so great. Really, really great. And great people are what makes a great community. Facebook is a terrible platform to manage a group. It’s like trying to make dinner with a spoon and a sandwich baggie. You can make it work but it’s awkward, time consuming, and nobody is entirely thrilled with the final product. But we’re stuck with it. Moderating a large group is hard. Moderate too little and desperate people with time-sensitive pleas for help get lost in the shuffle of “what do you think of this sippy cup?” posts. Moderate too much and people bristle, because it’s hard for them to see the bigger picture. For example we started turning off comments on questions that had been answered. Not to be mean or shut down discourse, but because doing so created the opportunity for unanswered posts to gain more visibility. But regardless, shutting down comments gives people the feeling of being “shut down” so we had to back off on that. Ironically it was this odd little video about the Red Yo Yo club that really coalesced the issue for me. It’s not that those things are bad, it’s just that they’re not who we are. We’re about safe, evidence-based, effective approaches to improving sleep outcomes for families. We’re the RED Yo Yo Club. 50% of the people in the group don’t know who I am or that they’ve joined the Red Yo Yo Club. This gets back to “Facebook is terrible at groups.” There’s no good way to convey information within the group. The header art is pretty clear but is virtually unseeable on the phone. 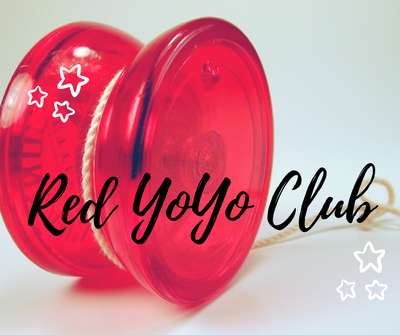 It’s very hard to be the Red Yo Yo club when a substantial population of the group doesn’t know they’ve joined the Red Yo Yo Club. The group only works due to the persistent and dedicated team of admins to keep it working. It’s not about me, it’s about them. Full stop. And it’s incredibly draining for admins to constantly orient thousands of new parents each month about who we are and what it means to be in the Red Yo Yo Club. That independent sleep is essential. That sleep training is OK. That we can always find ways to make things better. This is an essential part of keeping the group cool, but it leads to admin burnout. This last lesson is leading to some changes in 2017. When the book comes out (it’s so close you guys) the group will be changing so that new members will need to be book readers. Until the book is available new members will have to nominally visit the blog one time to fill out this brief form. They’ll have to at least peek at what is probably the most essential piece of information baby sleep available and answer a one word question about it. Yes this is a bit of a hassle and not nearly as fun as simply clicking the “join” button on Facebook. But hopefully this change will help reduce the amount of new member orientation required, will help keep the admin batteries at full charge, and will help us stay the Red Yo Yo club. As always we’re trying to keep the awesome and we hope these changes will do just that. If you’ve got any thoughts, questions, or insights I would love to hear them in the comments! The group remains the same. If you are already in, you don’t need to do anything. Wow, I had no idea all the things that are involved in managing a facebook group! I’m not on FB, but your ideas to make some changes sound like great plan! Yes it’s been A WHOLE THING. Mostly awesome. But definitely BIG. Most people honestly don’t care what goes on behind the scenes but I like transparency and switching the way new people join is kinda huge (keep in mind we’ve got 1,000 – 2,000 people signing up monthly) so I wanted to write a huge post about it. Speaking of “gold star” people YOU ARE ONE OF THOSE TOO!!!! Such a great idea.the group and the blog are lifesavers and u and admins are goddesses! Baby sleep issue slayers! But it can be really frustrating even as a follower to see all the irrelevan questions from people who havent read the blog at all. This is a great idea. I cant wait to get my book. Also i think that u should ask for donations again, cos ur worth it! Baby Sleep Struggle Slayers! KABOOSH! You are pretty darn amazing! I can’t even begin to imagine moderating a group that big! Thanks for all you do! While both my girls are older, I spent many a night reading this blog while rocking my girls. Oh I don’t and couldn’t by myself – it’s a team effort. Without the admins there would be no group! I always love reading what you have to say. And because of you and your information, I have twin boys (10 months) who sleep 12 hours/night and nap twice a day for two hours each nap. It was because of you that I went straight to the information you provide to find out quickly, through sleep deprived eyes, what we needed to do. Good luck in the future, and keep it up! Thank you, Alexis! As someone who has studied the website (printing out blog post after blog post, as a step by step recipe for sleeping training – color coding and all! ), let me say, without your blog posts, I would have been in utter despair! As a mother of twin girls (almost 11 months now), I was EXTREMELY unprepared for motherhood. I am a rule follower and needed someone to be my Yoda. Thank you for being my Yoda. I can happily say my girls are sleeping well, independently, and its because I followed your guidance. From one jedi mother in training, THANK YOU THANK YOU THANK YOU. You are no longer my padawan but are now a full fledged Jedi. Go forth strong in the force! Thanks for all that you do! I love the group and I can see the tremendous effort the admins make to keep the ship steering in the intended direction. TOTALLY with you in Facebook. But not sure I can fully embrace Reddit either. Reddit is like swimming in a swamp bog. For the most part it’s OK but the waters are deep and murky and you can’t see what’s really going on down there. I’m just laughing at the Sippy Cup part. It’s the parent small talk equivalent of talking about the weather. Every boring mom’s group discussion always ends up there. Spoiler alert: they all leak!! I know right? This and “How do I get my toddler to eat anything other than applesauce.” Answer – you can’t. Toddlers survive on nothing but applesauce. Snort. This hit me just right. Alexis, you are the reason I have joy in my house again. So so so greatful for you and the admins. Thanks for all the guidance in the last several years. As a full time Postpartum Doula I constantly refer parents here. Your info makes so much sense. Now I’m just waiting for your kids to get older so you can help us with the teen years!!! Trust me in this.. this parenting stage lacks support and info. Alexis, you are doing a wonderful job and I ❤️ you. You are lovely and I can’t wait to hear about #2. Thank you for all you do to help spread the word on good sleep habits for kids. This group included. For real – you and your team made a huge difference in our house. I wlll buy your book for every baby shower from now til eternity. To the lady who gave me confidence regarding baby sleep when I had none … and taught me what “SMS” was and not to let it kick in too much … THANK YOU ALEXIS! And thank you to those admins who help us all soooo much! Cheers!!! I somehow luckily found you back in the pre FB days when it was still the Troublesome Tots (amazing) blog and you answered questions even back then as yourself, LOL. This post is just perfect and I am forever grateful to you as I have two really great sleepers now!! I second that your book is something I would purchase and give to every new mom out there…PLS is PURE gold! Thank you to infinity and beyond Alexis! I think this is a brilliant idea. About to try sleep training number 3 but she has played her trump card of being poorly. So I’m still being her human dummy . Can’t wait to buy your book! So… When an acquaintance in a nursing mothers lounge referred me to you, it was like the stars had come out in a long, dark night. We still struggled with sleep (due to 1 bedroom apartment) but there was hope. So many of my friends had easy sleepers. I got a PhD in self-flagellation for all my attitudes and behavior caused by lack of sleep. But we made it through, and I am so thankful! I feel like I am a better person for going through it and am so happy to refer others here. Thanks for making it ok to be human. You’ve found a way – however challenging and flawed – to make real, vulnerable connection possible in our disconnected culture. Thank you! I just filled out the form to join….it’s like I’ve found my people!!! I’m in several science-based parenting groups, but none specifically about sleep. And my 2 and a half year old’s sleep is poo. So excited about joining! Being admin of just a small page on facebook I feel your pain … trolls everywhere, but it’s an awesome experience 🙂 And most of the people are just fine.